A bunch of kids were out rock climbing at a local beach when they spotted a mother duck and her eight ducklings waddling along the rocks. When the mom decided it was time to jump down from the rocks and back into the ocean, four of the ducklings followed her — but the other four got stuck and were left behind. After seeing the ducklings get separated, the kids, all between the ages of 9 to 11, sprung into action. They quickly located two of the lost ducklings and brought them down to where their mom and siblings were waiting in the ocean. By the time they located the last two ducklings, though, the little duck family had already swum off, leaving the pair all alone. The kids waited nearby for a little while to see if the mother duck would come back for the last two ducklings, but when she didn’t, they decided they just couldn’t leave the ducklings all alone. The kids decided to contact the emergency ambulance service for the JSPCA Animals' Shelter to see if it could come and collect the abandoned ducklings. When the ambulance finally arrived, the kids handed the ducklings over to the driver — along with a list of questions and instructions. 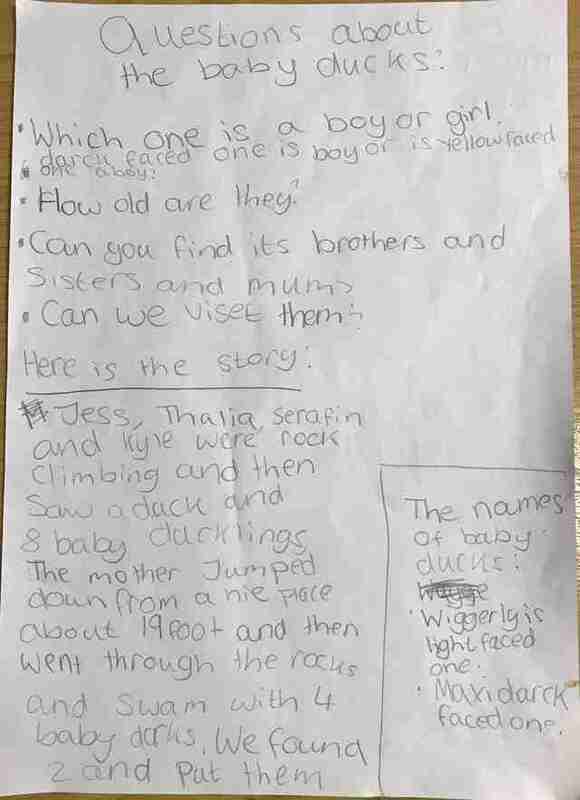 Just to make sure the ducklings got the best care possible, the kids wrote out a detailed letter for the ambulance driver to take to the shelter about how the ducklings were found, what their names were and a list of questions about the baby ducks that they thought the staff might need to answer in order to care for them properly. 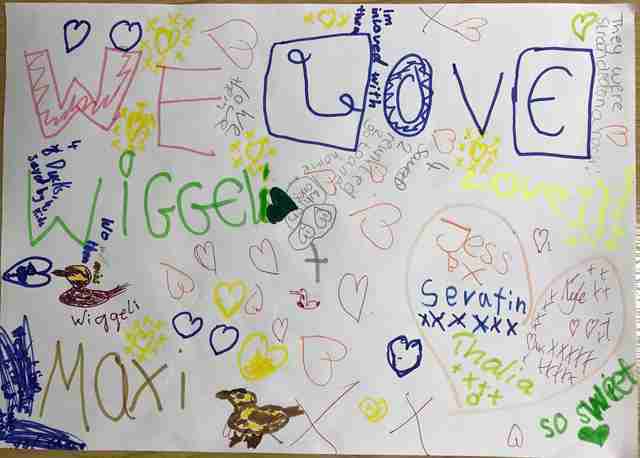 They even included an adorable drawing that expressed how much they already loved their new duckling friends, whom they named Wiggerly and Maxi. The ducklings were only 2 days old when they were rescued, and are now safely in the care of the JSPCA Animals’ Shelter. 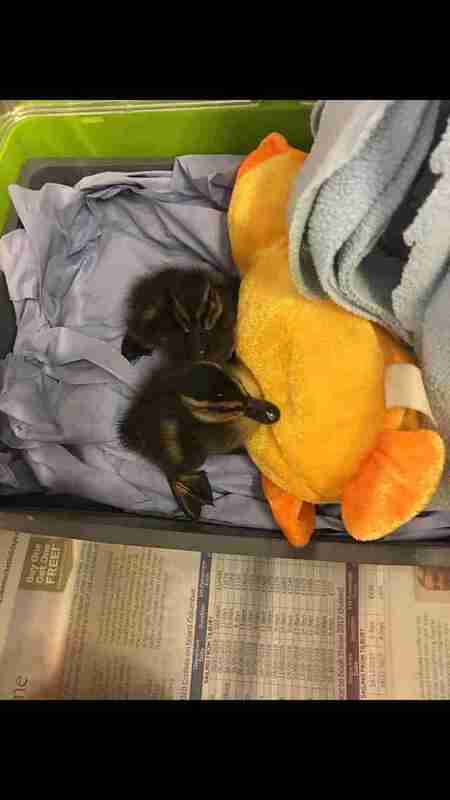 Staffers at the shelter were all very grateful to the kids for rescuing the ducklings, and have even made sure to call them up to let them know how their little duckling friends are doing. 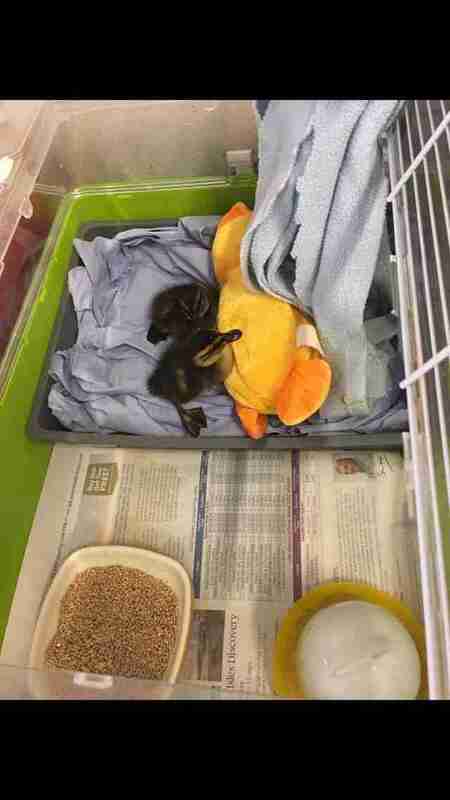 The shelter plans to keep the ducklings for a minimum of two months while they grow and mature. They have two other older ducklings in their care as well, and are hoping to release the four ducklings as a group. Thanks to a group of concerned kids, Wiggerly and Maxi are getting a second chance at life, and will be back in the wild where they belong very soon.